Anyone who is doing Silk Road China will certainly stop at Dunhuang which is located in Gansu Province. This historical site is one of the most important site which you can’t miss. The China’s jewel such as Mingshashan Yueyaquan / Crescent Moon Lake and Mogao Caves are located in Dunhuang. 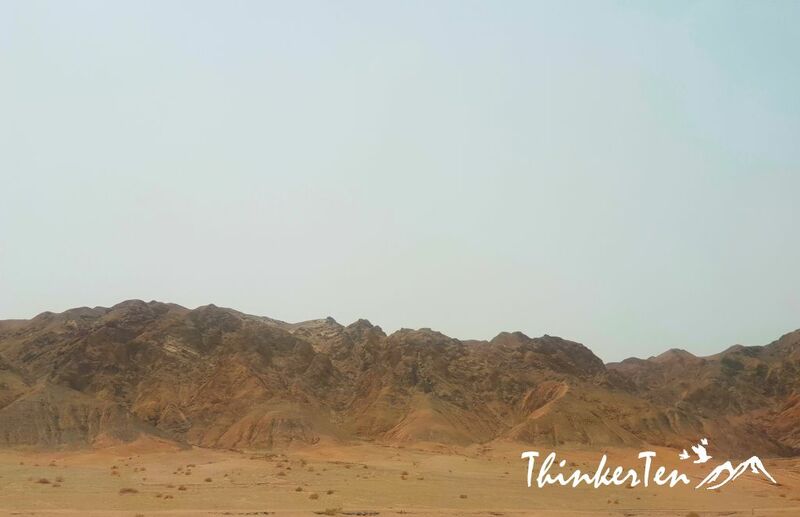 This area is a basin plain with Mt Qilan in the south, Mt Mazong in the north and desert from east to west. 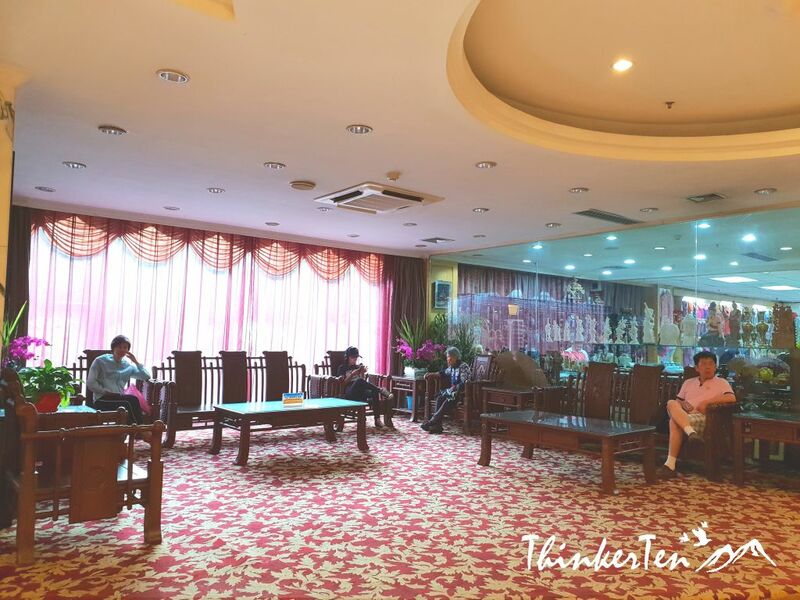 During my stay in Dunhuang, I have the chance to stay at Sun Grand Hotel. Here is my review. 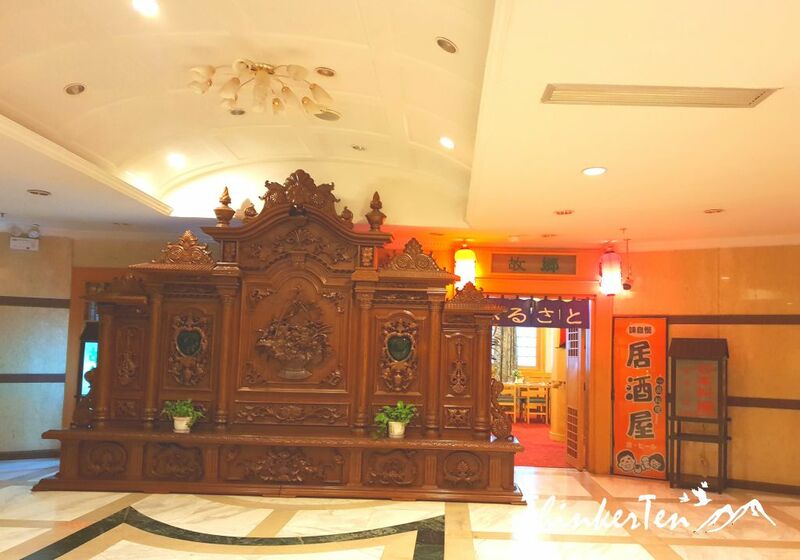 The Sun Grand Hotei is conveniently located in downtown Dunhuang, an easy 5-minute walk to the night markets, restaurants, and supermarkets. In Chinese standard, it is rated as 4 stars. 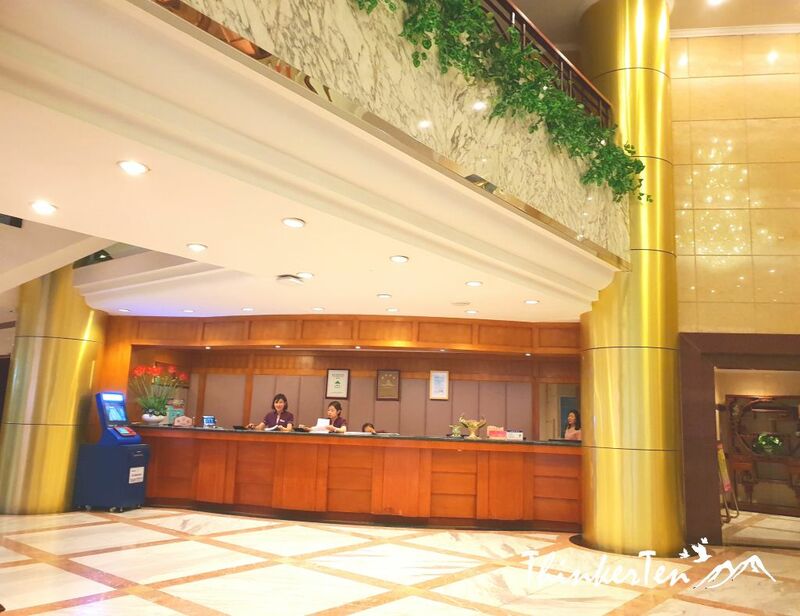 When you entered the hotel, it appeared as grand with very big lobby and few seating areas for their guests. The huge chandeliers will certainly catch you attention. If you look closer, you will spot the Dunhuang ‘Feitian’/ Flying fairies in the chandeliers. Look up at the ceiling, you also see many Buddha paintings. 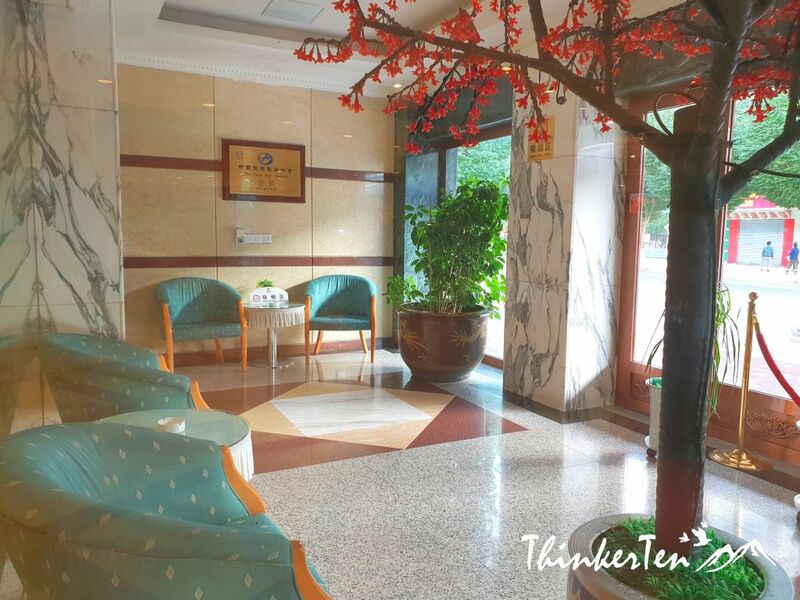 There are few seating areas in the lobby but all are carved lacquer wooden furniture which are very common in China. The hotel also accommodate a lot of Japanese guests and there is a Japanese Izakaya restaurant. 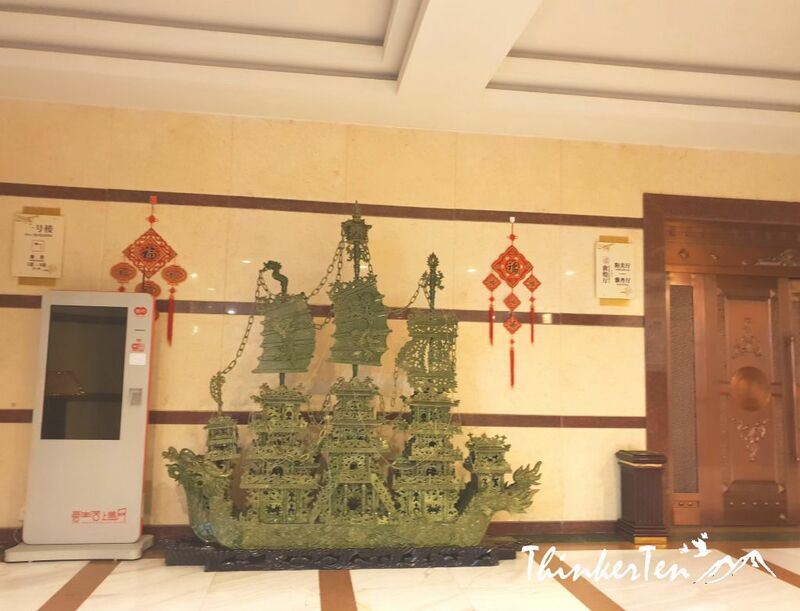 A very large Jade Dragon Boat was spotted at the corridor of the Sun Grand Hotel Dunhuang. Jade boat seems like a very good thing in Fengshui, it brings in good luck and good fortune. It is believed that the ship coming back from its sail could bring back lots of wealth when it harbors back. There are also several shoes shining machines in this hotel. 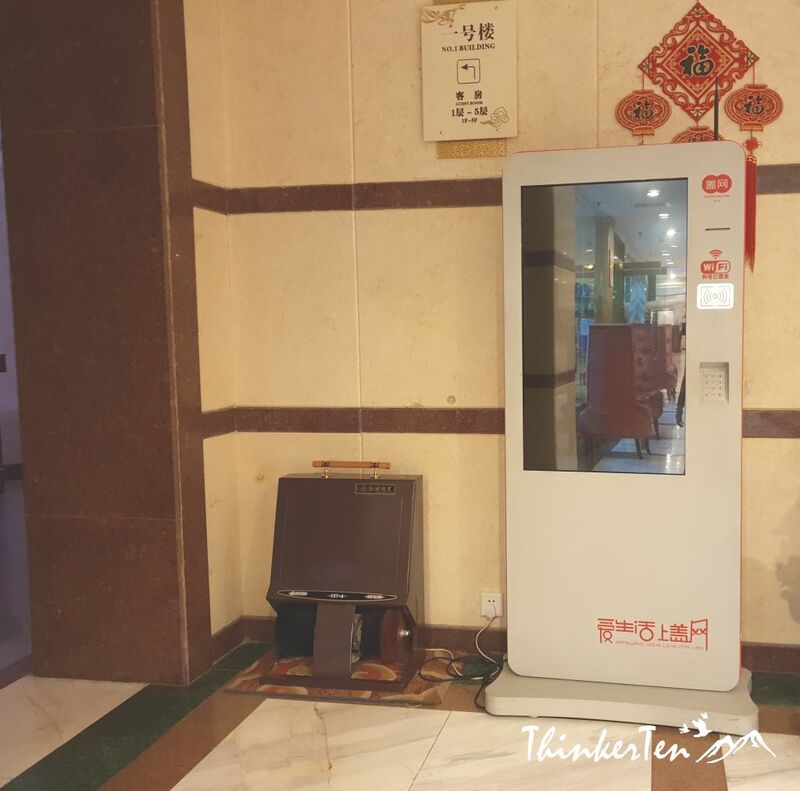 After a long journey at the desert in Dunhuang or Mogao Caves, you may need a free shoes shine. 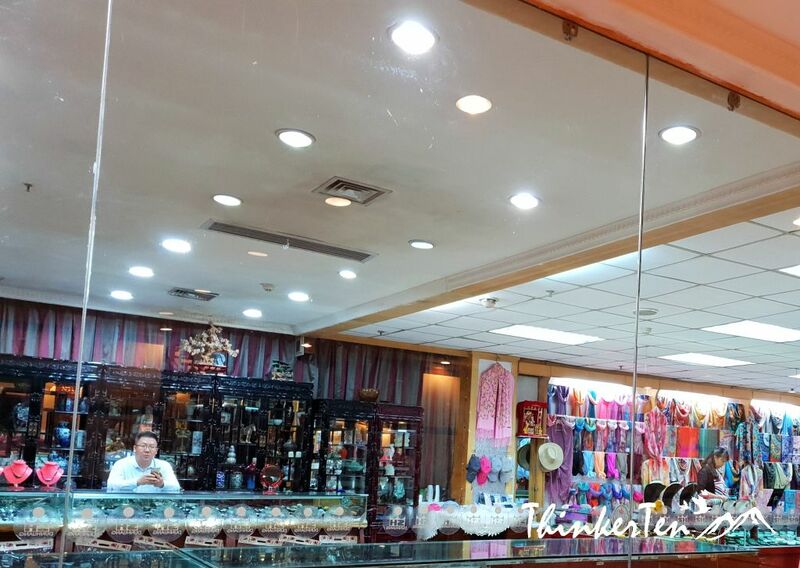 Antiques, silks and scarfs or small little souvenirs can be found in the shops here. 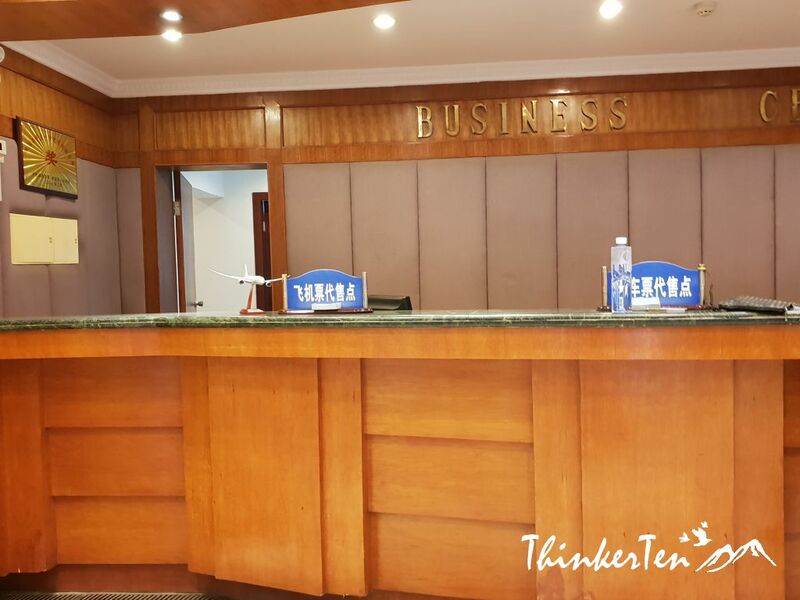 You can get your internal flight tickets, bus or train tickets at the business center. No smoking at any place in the hotel, except at a designated closed door smoking area at the lobby hall. I am glad it is a closed door smoking area! The hotel room is up to my standard, clean and comfortable. The lighting in the room is bright (white light is used, not warm light) and the air-conditional is working well. 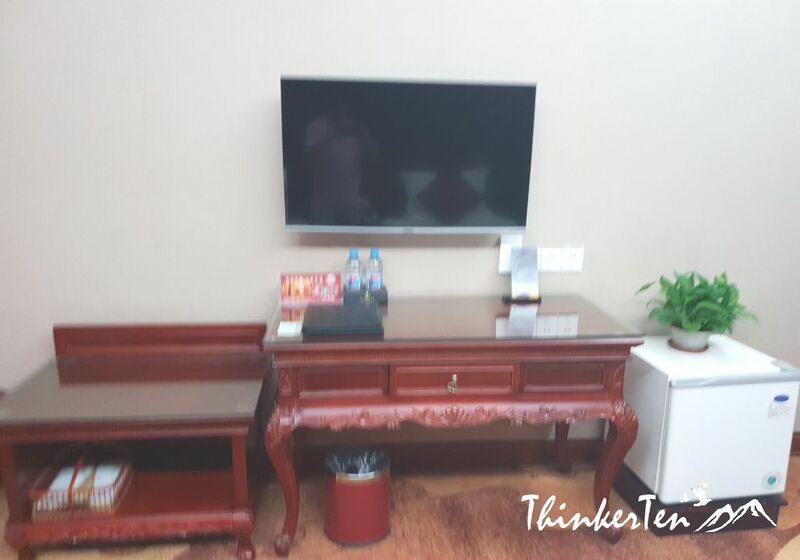 TV, fridge, slippers and free mineral waters are provided. 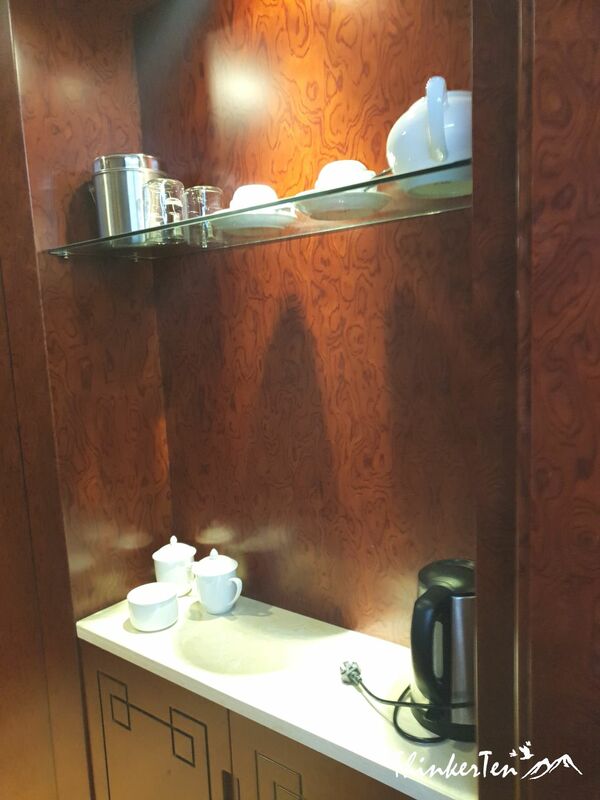 Most hotel in China has the hot water kettle for their guests because mainland Chinese must boil the water before drinking and prefer to drink hot water and not so much on cold or room temperature drinks. The toilet is not that spacious but it has all the thing a traveler needs. However there is one thing to note; when you use the shower, you may want to let it run for few minutes to make sure hot water is working, then only start jumping in. 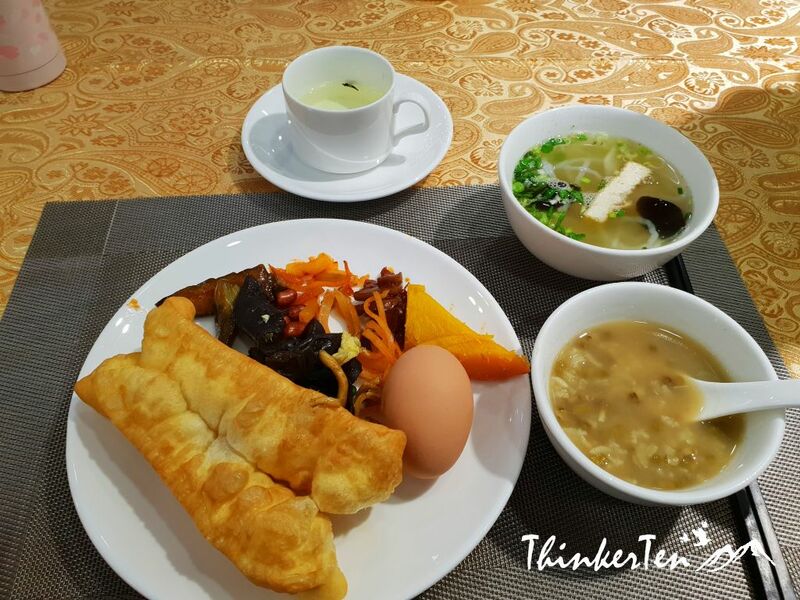 Breakfast are mostly Chinese style but they do have some western such as sausages, ham, eggs, bake bean and bread. Overall, it is a good variety if you can take Chinese in the morning, such as congee, white bun with stir fried vegetables. 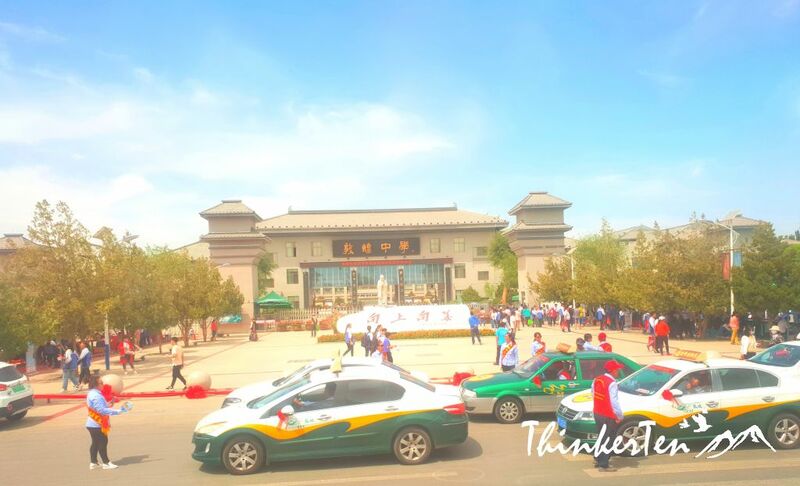 We passed by Dunhuang High school and saw parents are waiting outside the school, where their children are taking their college entrance examination. On June 7-8, the college entrance examination are held all over the country. So expect to see less mainland Chinese tourists in most of the attraction sites as most parents are busy accompanying their children during this exam period. 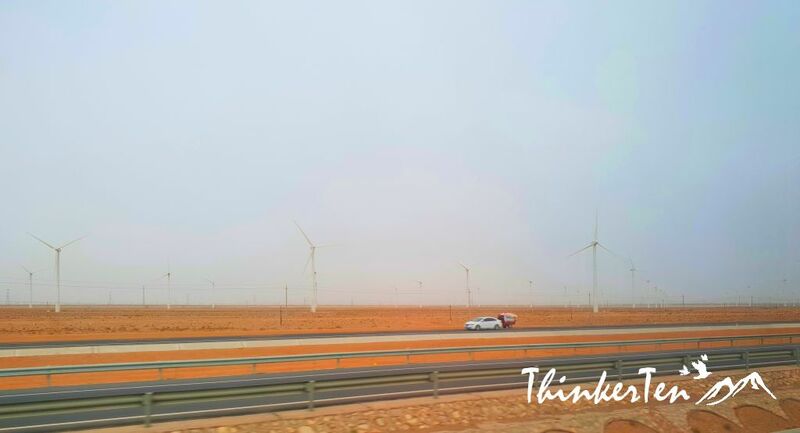 Guozhou’s location is ideally suited for wind farms, we see a lot of wind farms on our way. In fact Guozhou has the nickname “world’s wind warehouse“. Guazhou/瓜州 is about 1 hour and 20 mins drive from Dunhuang. Gua /瓜 in Chinese means melon and Zhou is state so this place is full of sweet melon. The weather is Guazhou is suitable and ideal for harvesting sweet melon. 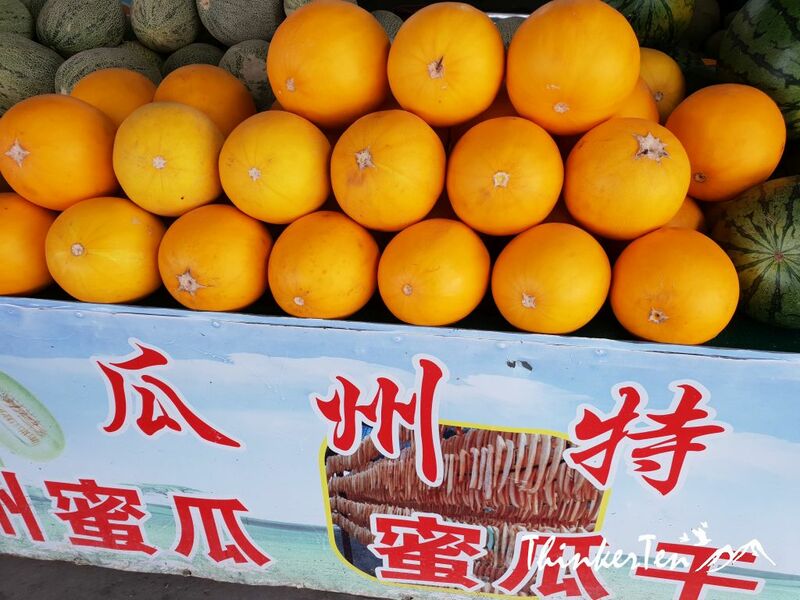 While in Guazhou, don’t forget to go for melon tasting. After our melon tasting, we also went to explore other fruits, such as red and black wolfberries. 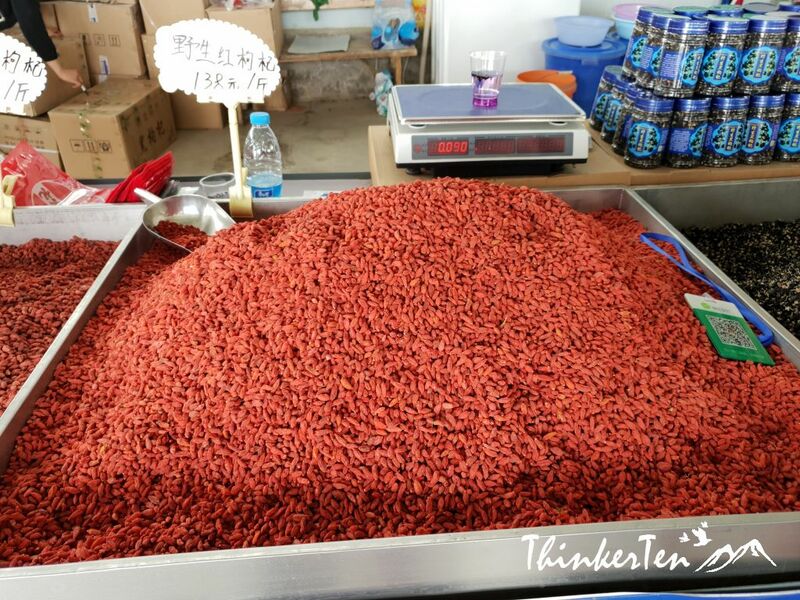 The red wolfberries are great for eyes and many Chinese people put the red wolfberries in their hot tea or in the soup. It was my first time to see the black wolfberry. The black wolfberry has plenty of benefits and seems work better then the red wolfberry, it is used for anti-aging and enhance immunity. The price is so much higher than the red wolfberry by 2-3 folds. 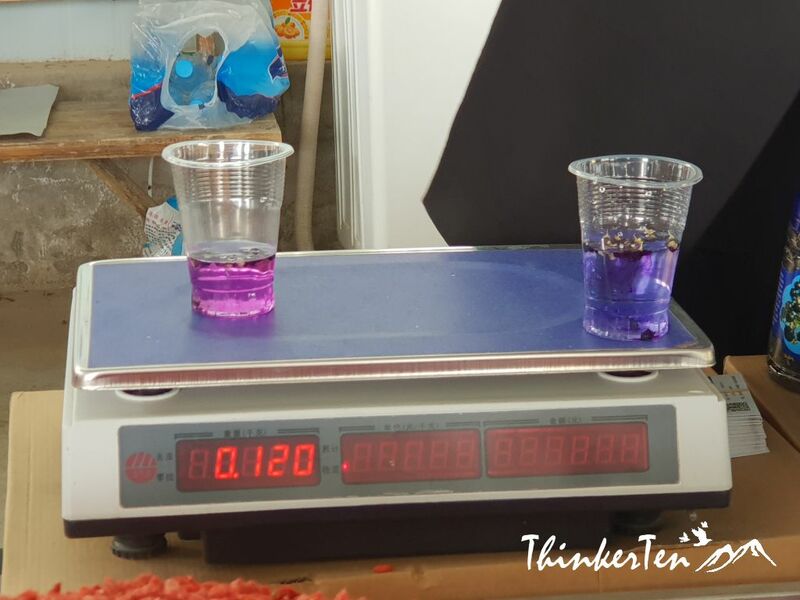 Depending what water you used, if you used water from the tap, the color is more blue and if you used mineral water, the water is more towards purple. Dunhuang Sun Grand Hotel is where I stayed during my Dunhuang visit in Gansu Silk Road China. The hotel is grand and impressive when you step in for the first glance. The room and breakfast are good. 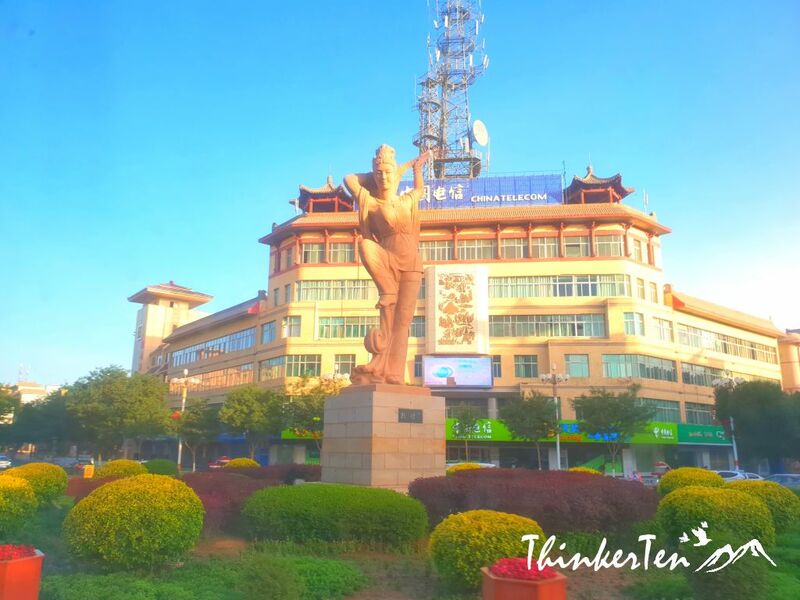 It is also conveniently located near the downtown where easy access of the supermarkets & restaurants and night markets. 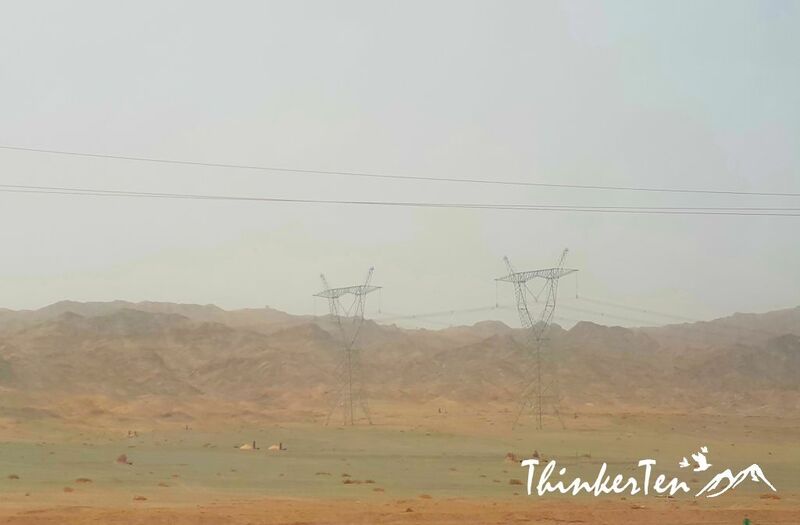 Guazhou is translated as ‘Melon State’, about 1 hour and 20 mins from Dunhuang. While in Guazhou, one thing not to be missed is melon tasting as this place is named after their sweet melon. Great pictures! Your hotel did look really nice 🙂 I would definitely be distracted by all the decorations. Sounds like a great visit! I love all of the architecture. Beautiful photos! How beautiful the Sun Grand Hotel is! I love the Jade Dragon Boat, the chandelier, and the little fountain. Your room was cute with a bonus fridge. Thank you for your comment. The light of the room is white light but I prefer warm light. The fridge look super cute but I didn’t use it. That looks like a fun place to stay! Thanks for sharing, love the pictures! 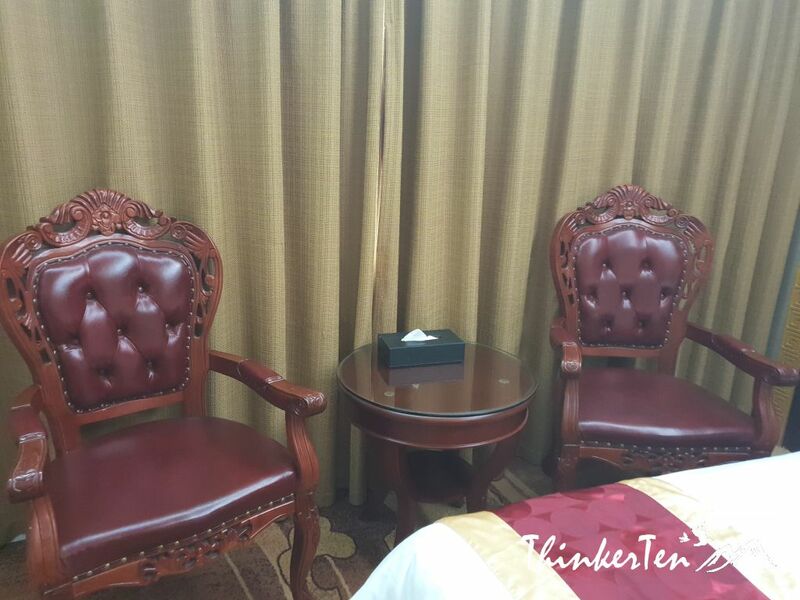 The furnitures in the hotel do look like antique as woods are used. I guess it is easier to maintain and also has the Chinese style and flavor. You are totally right, I too was wondering the fountain is parked behind the stairs. The decoration of the hotel seems a bit out of places, I have to admit they have grand stuff to show off but the placing of those objects are really out of place. What a lovely place to stay! The hotel looks very nice and I like it’s ambiance! 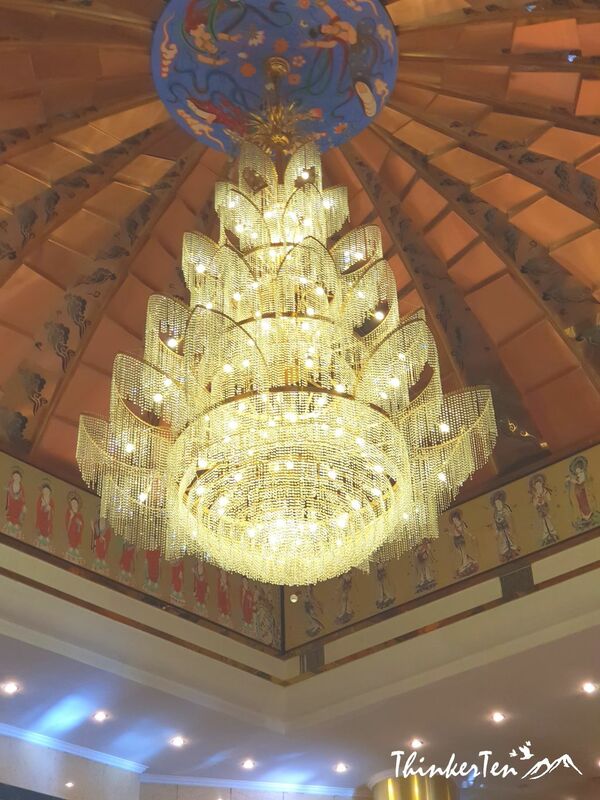 The moment you step into Sun Grand Hotel, you would find the lobby very impressive, the chandelier light and the ceiling are super unique with it own way The ceiling has drawing of Buddha and Feitian – the iconic flying fairies found in Mogao Caves. What an ornate hotel! I’d love to see that Jade dragon boat! Hoping to take the boys to China in the next few years! 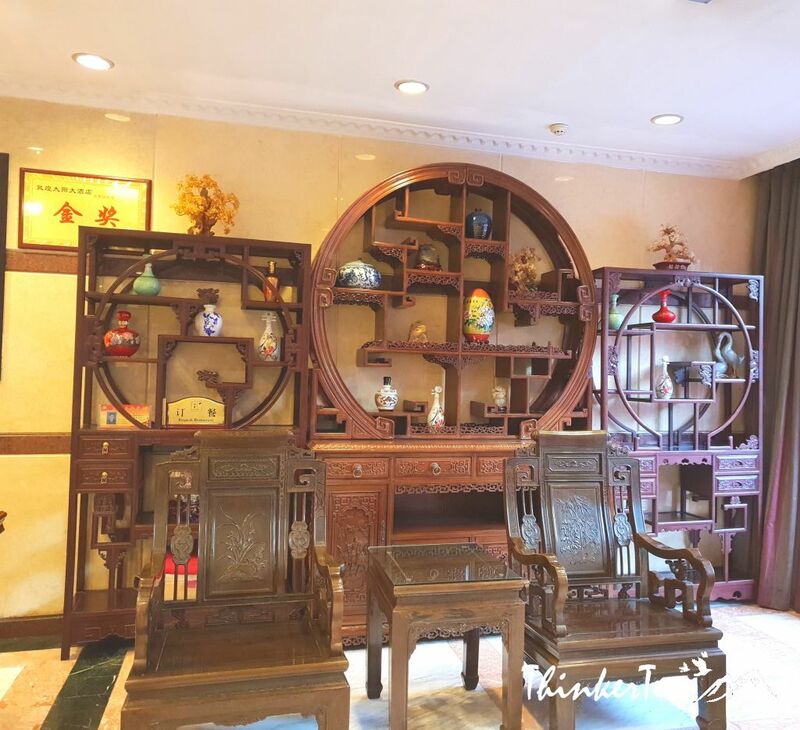 The Jade dragon boat can be seen in many of the business premises in China but the one at the Sun Grand Hotel is super huge. But not why it is parked at a dark corner of the hotel. I had not heard of this place before. Looks amazing in the photos. I agree, it is a must see on the Silk Road China. Dunhuang is a must visit place in Silk Road China which has many attractions to see such as Mogao Caves and Crescent Moon Lake. This is such a nice hotel to check-in. Great review for us traveler to look on this wonderful hotel. Loved the architecture exterior especially the interior. I totally agree with you that the interior deco is really impressive, especially the chandelier light and the ceiling which was painted with Feitain and Buddha, simulate the murals in the Mogao Caves. Your post is a breather. Usually, i would read about Shanghai and other places in China other than that you’ve featured. Indeed, there are really nice places to explore and visit once in China. There are many other interesting places beside Shanghai and Beijing in China, Dunhuang is just another example located in the ancient old Silk Road route, located in Gansu Province. Thank you for your comment. I would love to visit a similar hotel in South Africa one day. Wow this is breathtaking! I have always been intrigued by the silk road and interested in its significance in history as well. Thank you for sharing your journey in a place that I may not be able to visit myself. The ancient silk road is a once in a life time journey. It was one of the most important arteries of trade and culture in world history which connect the East and West. OMG take me there! I’d love to stay there! It looks amazing and your photos are so nice! Wow that looks like such an amazing place to visit! I love all the designs and motifs throughout. Now I want to visit even more! What a beautiful hotel. If we are ever in the area, we will know where to stay. 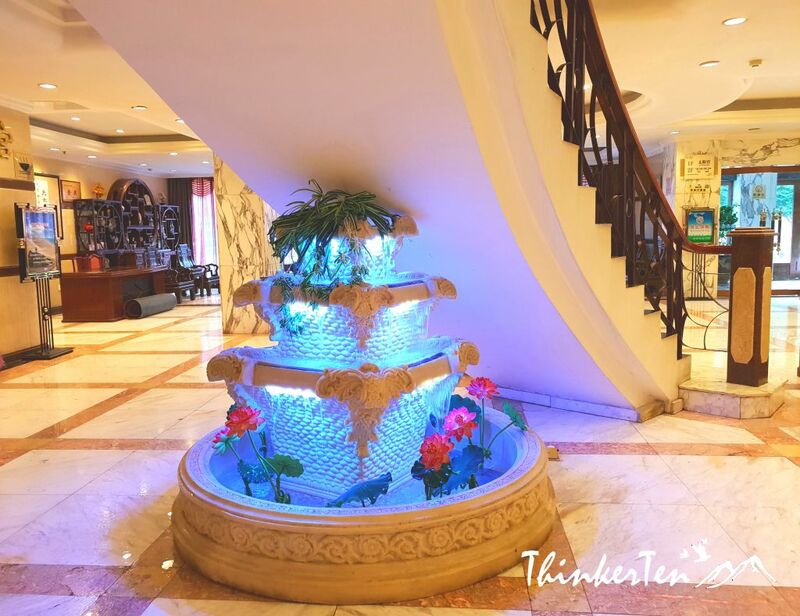 What a lovely hotel this is and I enjoyed reading your full review of it. Great tip about letting the hot water run first before jumping in the shower. Great review. The hotel appears to operated based on western standards. 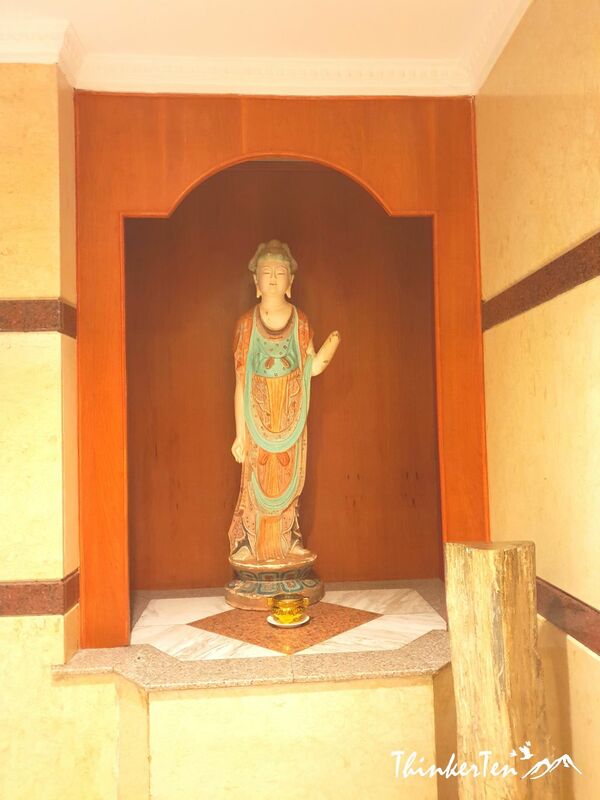 Very nice hotel, I really like all the sculptures. And if I ever get the opportunity to visit I’ll definitely taste melons. What a gorgeous hotel! I love that dragon boat, so pretty! 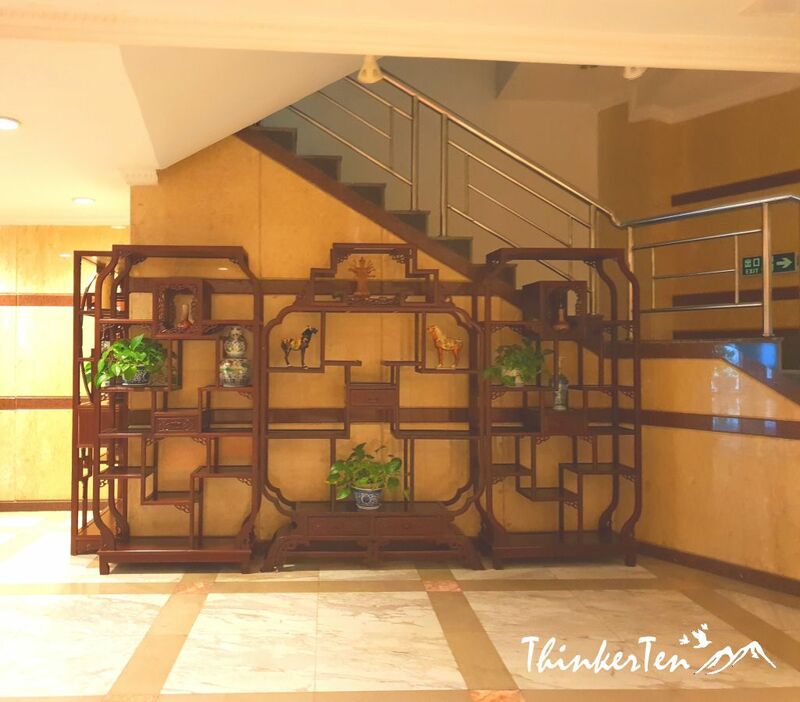 The dragon boat is meant to bring a lot of wealth to the hotel business, usually placed at the hallway of the office premisses or hotel in China according to Fengshui. That is a lovely hotel. 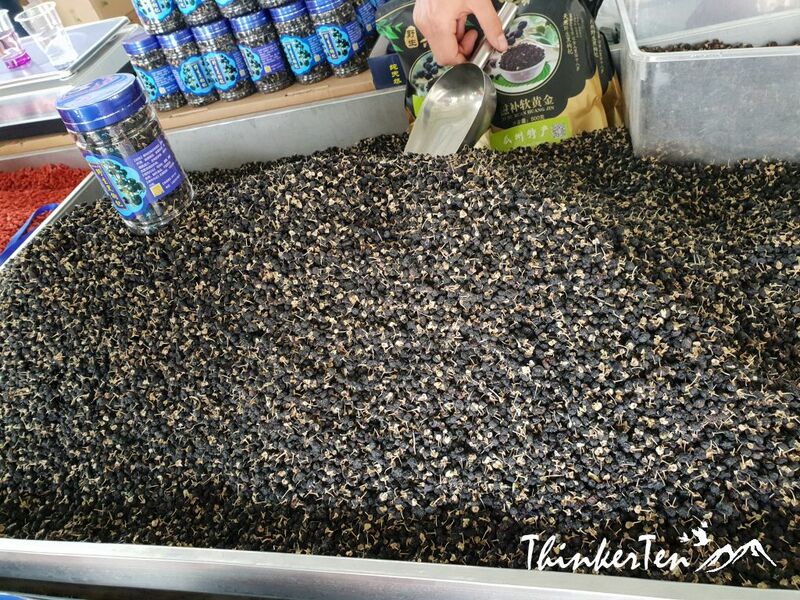 I like the photos that you shared within this blog! Wow! Thanks for sharing. Wow this place looks so beautiful! This looks like such a luxurious place to stay. I love the decor and the jade dragon boat. It sounds like you had a great stay. The hotel does not cost that much to be honest, quite cheap after conversion to USD (around 50 per room). 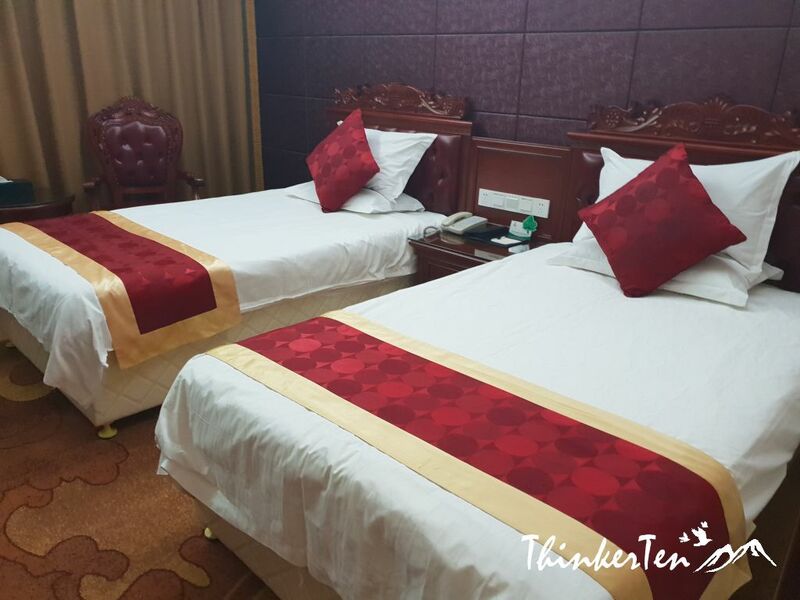 It is considered as 4 star China standard and that is equivalent to International 3 star standard only. This hotel is so convenient and beautiful. It has both ancient beauty and modern look. What a stunning hotel! I would never want to leave the hotel to sight see. Looks like a lovely place to stay. Love the vintage vibes. The hotel is kind of cool when you first stepped in. I was quite impressive by the lobby and the grand hall, especially those decoration. Overall a good night stay without any noise. To me, that is most important. That chandelier is amazing. I think I would secretly be fearful it would fall.